This is Marcella Hazan’s recipe. 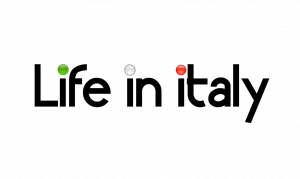 She prepared it for lunch on the terrace outside the lovely, antique-filled top-floor apartment she and her husband, Victor, share in the Cannaregio district of Venice. The Hazan’s served the quail with polenta. Wash the quail thoroughly inside and out under cold running water, then set aside to drain in a colander for 20 minutes. Pat the quail dry and stuff each with a slice of pancetta and a sage leaf. Place the butter and oil in a heavy sauté pan and place over high heat. Brown the quail on all sides, then sprinkle with salt and pepper and add the wine. Turning the birds in it once. Cook for about 1 minute, then lower the heat to medium and cover the pan, leaving the lid slightly askew. 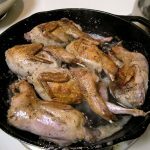 Cook for 45 minutes to 1 hour, until the quail feel tender when probed with a fork and the meat comes away easily from the bone. Check to see if there is sufficient liquid in the pan to keep the quail from sticking. Add a little water if there is not. 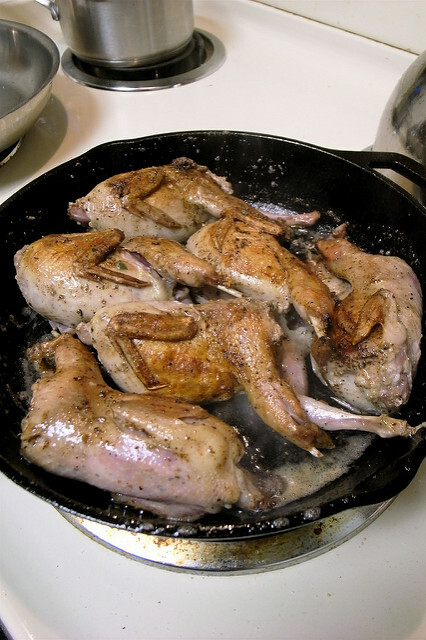 Remove the quail from the pan and place on a serving dish. Add 3 tablespoons (45 ml) of water to the pan, increase the heat to high, and cook, loosening the particles clinging to the bottom of the pan with a wooden spoon. If necessary, season the pan juices with salt and pepper, then pour over the quail and serve.